The formation of a group focussed on Cassowary conservation in the Daintree area was initiated by Esther Cullen in October 1991 in Cape Tribulation. 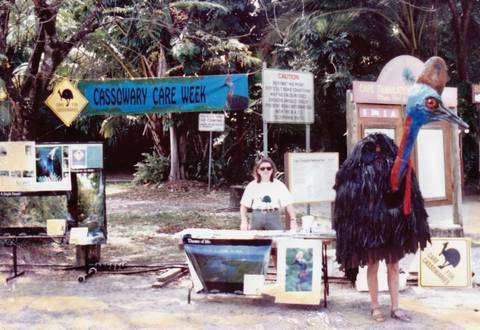 After a couple of name changes the Daintree Cassowary Care Group was eventually incorporated on December 1st 1994. DCCG focussed on public education about the plight of the Cassowary and backed this up with a program of reforestation to preserve its habitat and active lobbying for traffic management measures in order to reduce road deaths. 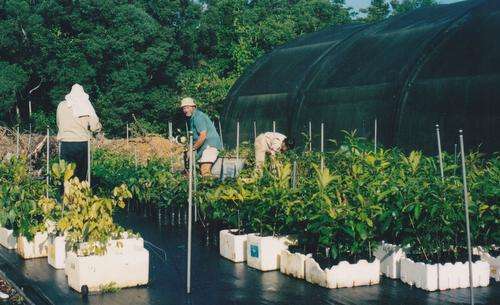 A rainforest species nursery was established at the end of 1994, firstly at Alexandra Bay School and then moved some years later to a National Park owned site known as Lot 98 Hutchinson Creek. The nursery was initially funded with assistance from Greening Australia with the aim to encourage local landowners to plant native species as well as to provide trees for areas which had been selected as suitable for revegetation. An expansion of existing habitat is considered to be the most important factor to the long term survival of the existing population of Cassowaries. After that initial injection of funds the group maintained the nursery operations through donations. The group’s most significant project was the restoration of over 30 hectares of previously cleared land on the National Park site now called “Jindalba”. This revegetated area now has a diversity of rainforest plants, in excess of 600 species, supporting an equally diverse range of animals including Cassowary. 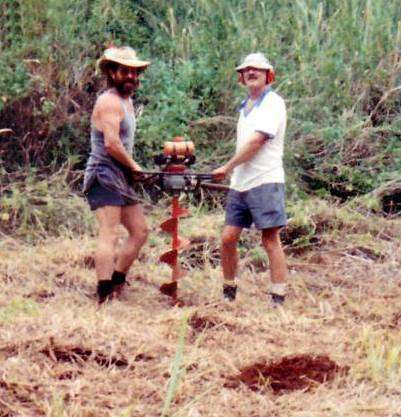 In March 2010 DCCG offered the nursery infrastructure to Rainforest Rescue to augment their continuing revegetation on blocks of land that have been purchased through their Daintree Buy Back & Protect Forever project. Rainforest Rescue now employs a nursery co-ordinator and has many enthusiastic volunteers assisting them. In May 2011 a decision was made to change the name to Daintree Region Cassowary Group Inc. in order to encompass the Greater Daintree National Park stretching from south of Mossman to the Bloomfield River. However, early in 2013 DRCG Inc. was finally wound up, gifting approximately $20,000 to Rainforest Rescue. Part of this gift included 6 motion sensor cameras to allow monitoring of wildlife on Rainforest Rescue properties and the remaining funds towards property acquisition to further conserve cassowary habitat.